The four Washington State Ferry-served islands offer four distinct personalities, each one magical in its own way. 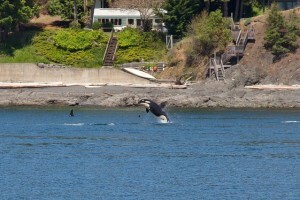 If it’s orcas–those black-and-white sea pandas, that you want to see–head to San Juan Island. From May through September, close to 90 of these wonderful creatures ply the waters of Haro Strait, on the island’s westside. There, Lime Kiln Point State Park offers opportunities galore to observe the whales. There’s quiet and then there’s Shaw Island. With only one commerical operation–a general store run by the Franciscan Sisters of the Eucharist–Shaw is the place to go if the word “relax” is written at the top of your things-to-do list. With the most diverse landscape, Orcas Island offers the best recreational opportunities in the San Juan Islands. Moran State Park, one of Washington’s largest, is a mecca for hikers, bikers, campers, trail runners and outdoor enthusiasts of all stripes. Laid-back Lopez Island (often referred to as “Slopez”) is the San Juans’ kind-of island. It’s kind of like Orcas Island in that it has a small village yet it’s kind of like Shaw Island in that it offers big-time opportunities for peace and quiet. Located smack in the middle of beautiful, horseshoe-shaped Orcas Island, Eastsound is this island’s commercial center. Small town friendly in a big way, Eastsound offers restaurants, shops, and galleries, as well as the Orcas Island Historical Museum. Summers feature a Saturday Farmers Market along. 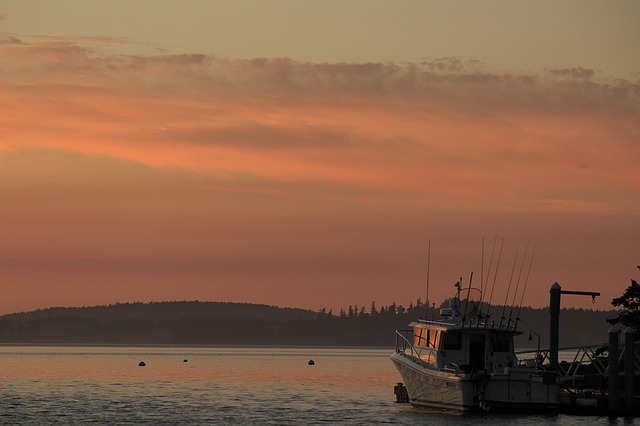 Located on San Juan Island, Friday Harbor is the largest town in the San Juan Islands. This bustling island seaport is also the only island town that’s also a stop on the Washington State Ferry system. Visitors to Friday Harbor will be charmed by eclectic offerings which include a performing arts center. Hidden at the west end of Orcas Island, Deer Harbor is often missed by island visitors. It’s a shame too because this sleepy harbor village boasts some of the best water views anywhere. The harbor’s kayak, charter and boat rental concessions offer plenty of opportunities to enjoy that water up close. San Juan is blessed with strong trade winds that keep mosquitoes at bay and somewhat lessen the sun’s vigor. In the summer months (June to September), the city gets increasingly hot and humid, averaging in the high 80s. Rains come from late September through early November. San Juan isn’t hit as hard as the El Yunque area to the east, but gets a good amount of overflow. December through May the weather is at its best – highs in the mid-80s, lows in the high 70s (sometimes those trade winds will have you reaching for a sweater at night) with little humidity.